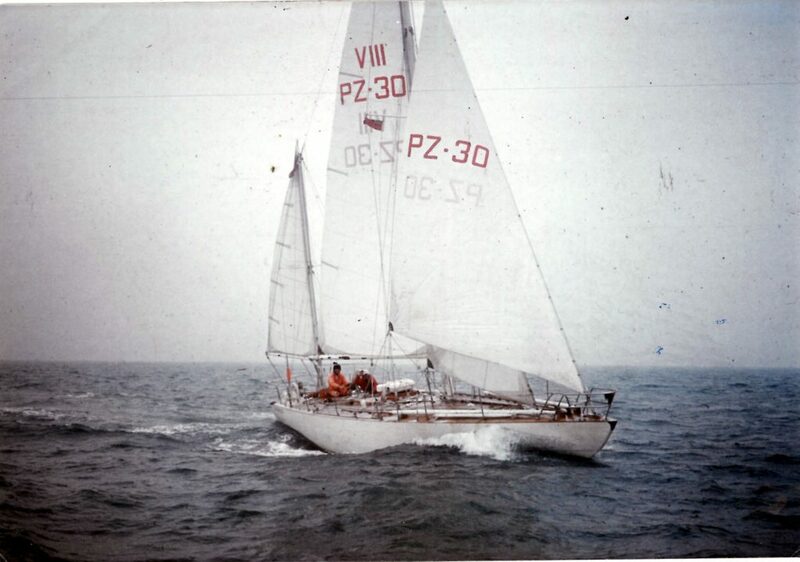 Polish yacht Copernicus, the smallest yacht to complete the very first Whitbread Round the World Race in 1973-74, will compete in the Legends Race starting on 21 June from Gothenburg and finishing in The Hague. Copernicus was built especially for the first Whitbread by the Gdanska Stocznia Jachtowa ‘Stogi’ boatyard in Poland, with a lot of help from the members of the Yacht Klub ‘Stal’ Gdynia on the Baltic Sea coast, who has owned her ever since. She is their pride and joy and the club keeps her in good condition, doing their best not to interfere with the history of her construction or to alter her lines. The participation of Copernicus in the Legends Race will bring the club back to the world of ocean racing. Copernicus raced the whole way around the world without drama or incident, except perhaps on the final leg. Nothing had been heard of the yacht since the start in Rio de Janeiro some weeks earlier and the Race Committee, who suspected her radio was out of action, put out a request to all shipping to report any sighting. One month after the start from Rio, the little yacht and her crew of five were reported to be in excellent condition and still racing. 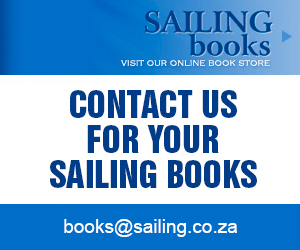 Fourteen boats completed the course and Copernicus finished the gruelling 27,000 nautical miles in 11th place. Her skipper was Olympic yachtsman, Zygfryd ‘Zyga’ Perlicki. She is constructed on an oak frame with mahogany planking and a plywood deck with teak overlay and was the smallest boat to take part and then to finish the round the world race. The Polish were people with dreams, which came true although at the time, they lived in a country behind the Iron Curtain, with modest maritime traditions. 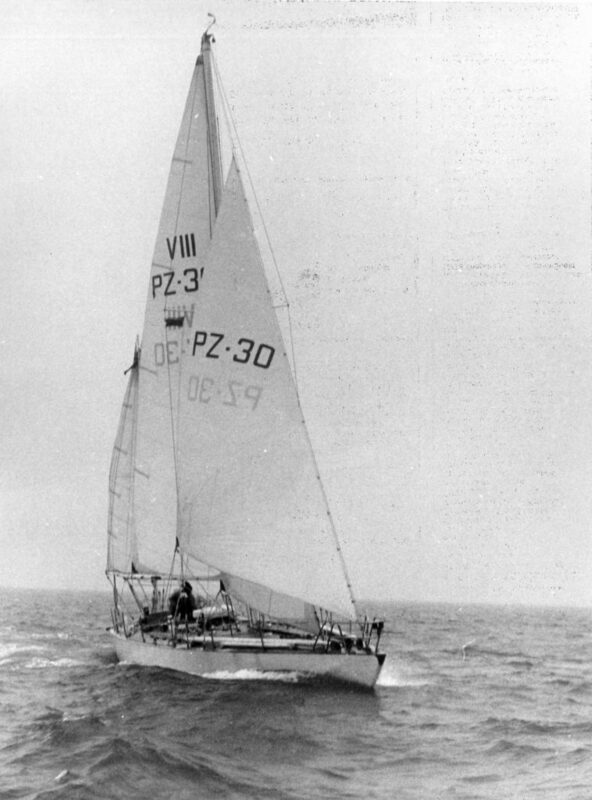 After finishing the race in 1974, Copernicus was used for training, cruising and expeditions and still regularly sails across the Baltic and North Sea. In 2006 she was awarded The Cruise of the Year trophy in Poland for a circumnavigation of Iceland. Lots of people who had worked on her over the years were able to sail her and feel that their hard work was worthwhile.